Hello we're the Voxettes! We share a passion for harmony and enjoy creating our own arrangements for the songs we cover. We sing Soul, Gospel, Motown and Do-Wop from the 40s, 50s and 60s acknowledging vintage girl groups such as The Andrew Sisters and The Marvelettes with the occasional modern song thrown in to the mix. We have been busy performing at parties and weddings accross Norfolk and suffolk for 10 years! We also work as session vocalists both as a group and individually. Our band members are: Laura White, Johanna Herron and Ruby Ocallahagan and below you can find out a little more about us and what other projects we are involved with. Inspired by Joni Mitchell, Johanna sings with clarity and sincerity. 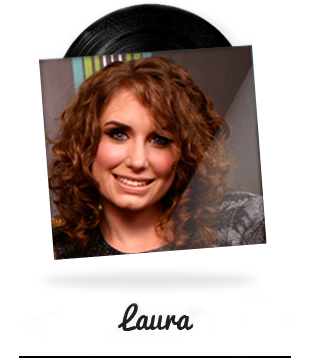 Johanna studied at the Liverpool Institute of Performing arts and is now a professional vocal workshop leader, backing vocalist and performer. She is a member of the Mari Joyce Band and the Banana Ukulele band. 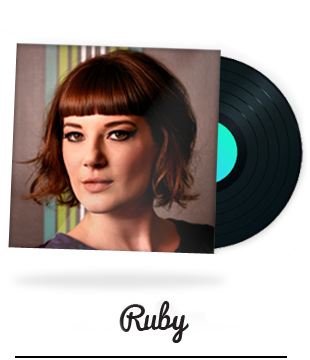 Ruby has a talent and passion for funk and soul music. With a rich and powerful singing voice, she loves artists such as Aretha Franklin, Etta James and Alice Russell. Ruby also fronts a five-piece band performing a mix of rhythm ʻnʼ blues, swing and jazz. 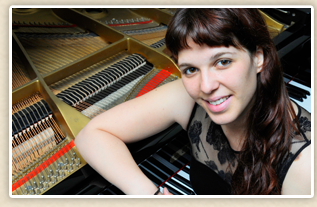 Vero graduated in 2010 from the Royal Conservatory of Music of Granada (Spain). Accomplished in both classical and modern piano styles, her influences range from Bach and Beethoven to pianists such as Ray Charles and Michel Camilo. Vero moved to the UK in 2012 looking to gain new experiences and to meet and learn from other musicians. As well as playing with The Voxettes, Vero is currently living in London where she teaches both privately and in music schools being a very loved and accomplished pianist and piano teacher.